4 bedroom. 1,5 bath, 240kvm high standard home. World class staycation home for rent 7-14 Aug. 2016. 4 bdr. 1,5 bath, Art Deco details orangery, balcony, deck and outdoor lounge. Available during Festival in Skälderviken – 12500:- SEK/wk. 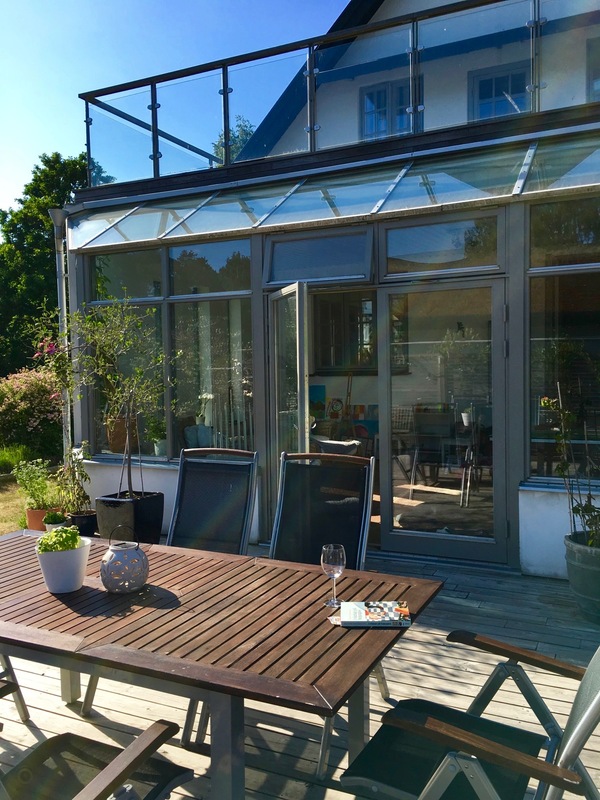 This home is located in Vejbystrand Sweden only a few meters of the beach. In addition to the beach, this home is across the street from the woods and tennis courts. Down the hill and you are at the outdoor public pool, restaurants. We are only a 20 min. drive to several golf courses. Check out StayCays video to get a feeling for this fantastic home. Föregående Föregående inlägg: Staycation on the farm?